GM’s decision to overhaul the Malibu just a little more than three years since the current model debuted is not at all surprising. With competitors like the Toyota Camry, Honda Accord or the Ford Fusion around, the eighth-gen Malibu has been struggling sales-wise ever since it arrived into dealerships in 2012. Chevy hopes that will come to an end with the larger and sportier 2016 Malibu that just made its public debut at the 2015 New York Auto Show. The beginnings of the Malibu name are tied to that of the Chevrolet Chevelle. That’s because the Malibu was a range-topping trim level of the Chevelle from 1964 to 1977. Featuring added luxury and the same powerful V-8s as the Chevelle, the Malibu went on to become the best-selling badge in the lineup by 1978, when it received its own model line. Although dropped in 1983, the moniker returned in 1997 and soldiered on through 2012, when the eighth-generation model was launched on GM’s Epsilon II platform, shared with the Buick LaCrosse and Regal. The new Malibu became a global vehicle, receiving a range of four-cylinder and V-6 engines, as well as three transmissions choices. 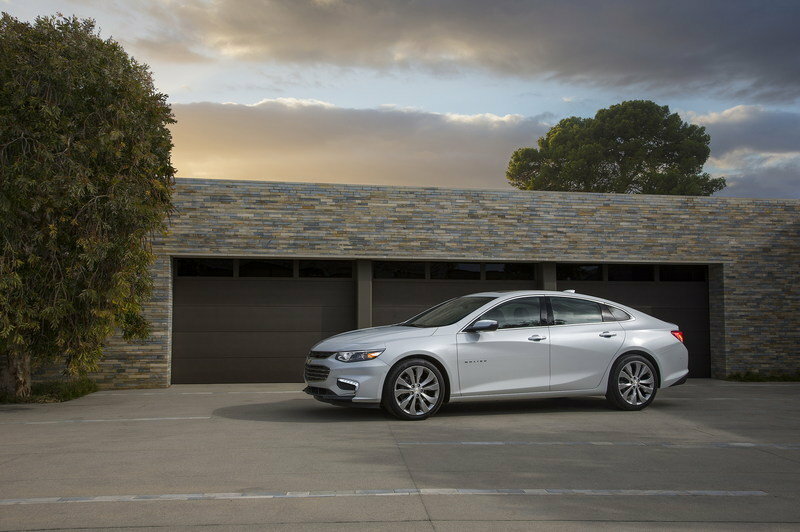 With the 2016 model, Chevrolet aims to turn the Malibu into a more upscale model, as well as a more efficient alternative to segment leaders from Toyota and Honda. Keep reading to find out if GM’s new midsize sedan stands a chance against its main competitors in the U.S. Updated 12/10/2015: Chevrolet announced that the 2016 Malibu Hybrid LT will arrive at U.S. dealers in the spring of 2016 with a starting price of $28,645. General Motors estimates that the car will deliver 48 mpg city, 45 mpg highway and 47 mpg combined making it the best in the midsize car segment. 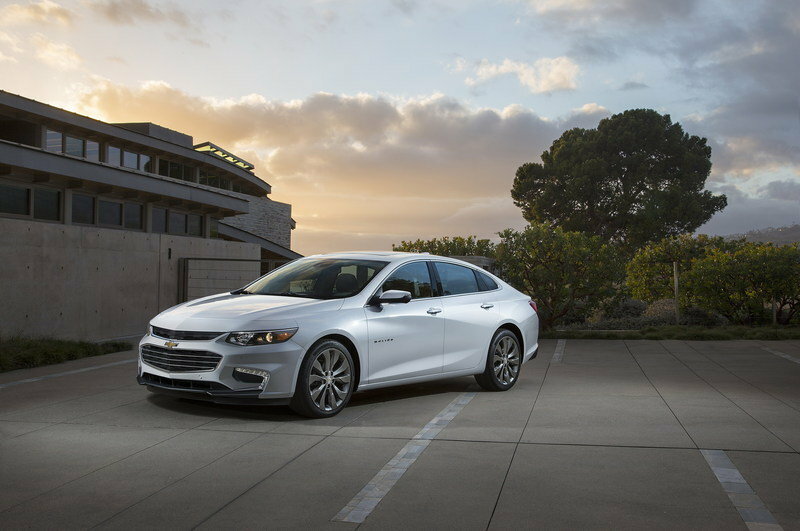 Continue reading to learn more about the 2016 Chevrolet Malibu. GM’s Mark Reuss told us to expect "to be blown away styling-wise" by the new Malibu, and he wasn’t kidding. 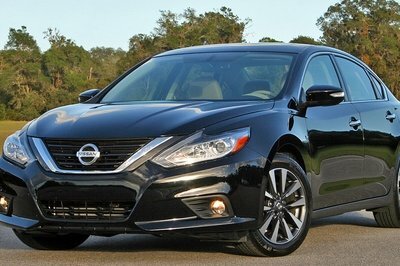 The redesigned sedan is sleeker and sportier than before, on top of being longer than its predecessor, as well as a lot more elegant. What makes the 2016 Malibu a pretty sight is the perfect combination of new styling cues and plenty of inspiration taken from the larger Chevy Impala. The Impala cues are more evident in the new headlamps, the front apron, the taillights, and the beltline creases, but the more upscale appearance is enhanced by a few unique features as well, such as the split front grille that’s wider below the bow-tie emblem. Massive improvements are noticeable around the back as well, including new taillight clusters that become slimmer as they flow toward the Chevy emblem, a pointy trunk lid, and a sportier bumper. All these features blend together in a more aerodynamic rear fascia that looks quite European. The Malibu is 2.3 inches longer than the model it replaces, while the wheelbase has been stretched by 3.6 inches. Responsible for the new Malibu’s design is 25-year-old designed Jaymer Starbody, which explains the sedan’s fresh and youthful appearance. While the previous Malibu had a well-appointed interior and a comfortable ride, rear legroom was far from satisfying for a midsize sedan. Chevy was aware of that and used the extra 3.6 inches in the wheelbase to add 1.3 inches of legroom for rear-seat passengers. The redesign also made the interior look high-tech, but still easy to use. The new center stack features less buttons and knobs as various commands are now accessible via the seven-inch color touchscreen, standard on lower trims. An eight-inch screen is offered standard on higher equipped models and as an option on the less expensive versions. The revised dashboard retains the previous wrap-around design, while the three-spoke steering wheel comes with a new button layout. Satin chrome accents make the interior look more upscale. A dedicated storage slot for mobile devices was added to the center console, while the Premier trim received ventilated seats, a first for the Malibu. New perforated leather seating surfaces are standard on the Premier model and optional for the LT and Hybrid trims. The Malibu also received an array of tech and safety features, the most notable of which being the Teen Driver feature. A first in the industry according to Chevy, Teen Driver is a built-in system that lets parents view how their teenager drove the vehicle by tracking car data. The system records distance and maximum speed, stability control and antilock brake events, as well as alerts issued by the forward collision features. Read more about it here. Under the hood, the 2016 Malibu gets a new entry-level engine in the form of a turbocharged, 1.5-liter, four-cylinder rated at 160 horsepower and 184 pound-feet of torque. The four-banger replaces the previous 2.5-liter unit that delivered 197 horses and 191 pound-feet. Although less powerful, the new powerplant is slightly more fuel efficient at 27 mpg city and 37 mpg highway. The previous engine returned 25 mpg city and 36 mpg highway. The 1.5-liter mates to a six-speed automatic transmission. As for the 2.0-liter turbo-four motivating the higher trims, the unit continues with less power, slightly better fuel economy, and with an eight-speed automatic in place of the six-speed. Output dropped by nine horses to 250 horsepower and by 37 pound-feet of torque to 258 pound-feet. As a result, fuel efficiency increased to 22 mpg city and 32 mpg highway. The previous Malibu turbo was rated at 21 mpg city and 30 mpg highway. The bigger news here is that the 2016 Malibu regained a hybrid drivetrain after a five-year hiatus. The new combo brings together a pair of modified electric motors borrowed from the Chevrolet Volt, a 1.8-liter, four-cylinder, gasoline engine and a 1.5kWh lithium-ion battery pack. Total system output sits at 182 horsepower and GM estimates a segment-leading fuel economy of 47 mpg combined. Stick around for a full review of the Malibu Hybrid. The 2015 model year marked the introduction of the refreshed version of the current-generation Toyota Camry, which was unveiled at the 2014 New York Auto Show. 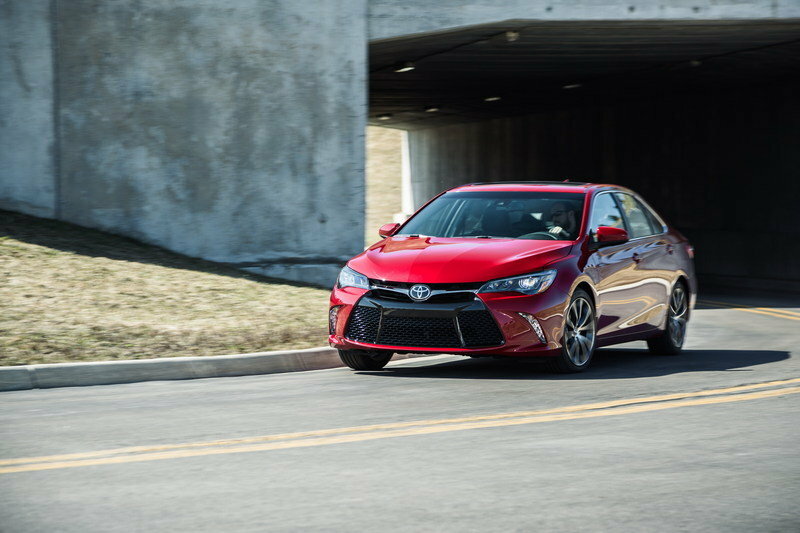 The Camry’s exterior has been redesigned almost entirely, with very few panels left untouched. The chassis, on the other hand, remains largely the same. The sedan’s interior has also been revised, now featuring more upscale materials, better fit and finish and even styling cues borrowed from the Highlander SUV. 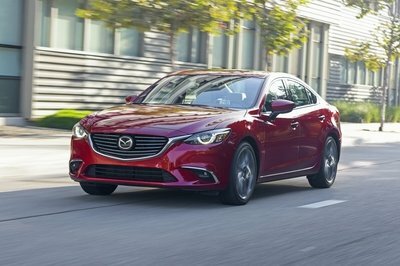 By contrast, there’s nothing new under the hood, where the same the 2.5-liter four-cylinder motivates the base model, while the 3.5-liter V-6 spins the wheels of the range-topping sedan. The former cranks out 178 horsepower and 170 pound-feet of torque, while the latter generates 268 ponies and 248 pound-feet. The base 2.5-liter rates at 25/35 city/highway, while the larger 3.5-liter V-6 comes in at 21/31. Pricing for the 2015 Camry starts from $22,970. Read more about it in our full review here. 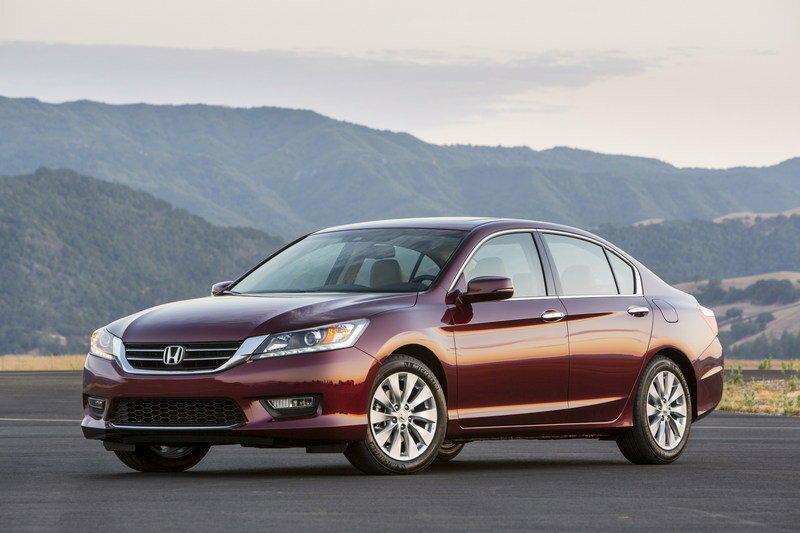 The Honda Accord brings nothing new for the 2015 model year, but a facelift is expected to arrive by the end of 2016. 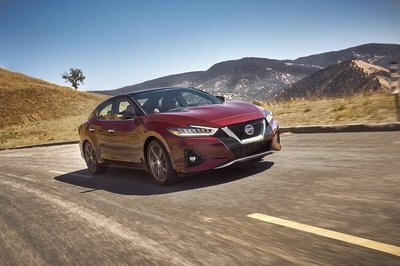 Meanwhile, the sedan continues with the same athletic lines that were introduced in 2013, along with a modern cabin that feels ergonomic and user-friendly. The Accord can be had with one of two gasoline engines. The base model carries a 2.4-liter inline-four rated at 185 horsepower and 181 pound-feet of torque under its hood, while the higher trims sport 3.5-liter, V-6 units that generate 278 horses and 252 pound-feet of twist. The four-banger delivers 27 mpg city and 36 mpg highway, while the V-6 checks in at 21 mpg city and 34 mpg highway. All figures are available with the CVT. The 2015 Accord sedan retails from $22,105. Find out more about the Accord in our detailer review here. With a sleeker, sportier appearance, a high-tech interior and more fuel efficient drivetrains, it seems as if the new Malibu could finally help boost sales that have been dropping on a yearly basis since 2012. A hefty redesign on the outside and the roomier interior definitely make the Malibu a better competitor for the Toyota Camry, the Honda Accord and the Nissan Altima, although it doesn’t necessarily mean it will take over as the top-selling midsize sedan. 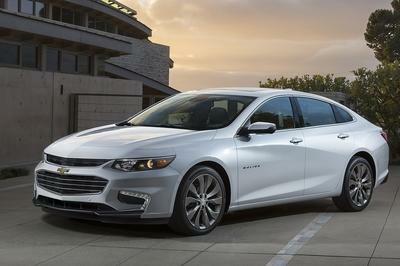 Updated 09/10/2015: Chevrolet announced prices for the new generation Malibu. For the 2016 model year it will be offered in five trims: L, LS, LT, Hybrid and Premier, with prices starting from $22,500 for the L model. Updated 04/01/2015: The new Chevrolet Malibu made its world debut at the 2015 New York Auto Show. Updated 03/04/2015: Chevrolet released the first details on the next generation Malibu which will be unveiled at the 2015 New York International Auto Show. The model will be built on an entirely new architecture which will make it 4 inches longer than the outgoing model, but also 300 pounds lighter. These changes will improve both fuel economy and handling. 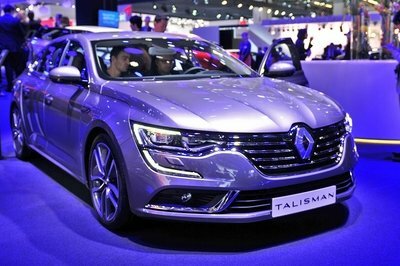 The model will go on sale at the end of 2015. Chevrolet today introduced the all-new 2016 Malibu – a completely restyled midsize sedan engineered to offer more efficiency, connectivity and advanced safety features than ever. An all-new hybrid powertrain, which leverages technology from the Chevrolet Volt, will help offer a GM-estimated 48 mpg city, 45 mpg highway – and 47 mpg combined, unsurpassed in the segment. The Malibu’s standard 1.5L turbo powertrain is projected to offer 37 mpg highway. The 2016 Malibu is also longer and lighter, with more interior space and improved fuel efficiency. Its wheelbase has been stretched close to four inches (101 mm), and it is nearly 300 pounds (136 kg) lighter than the current model. “Midsize customers tell us they want great fuel economy, connected technologies, wrapped in a gorgeous exterior. This is exactly what the 2016 Malibu was engineered to do,” said Jesse Ortega, Malibu chief engineer. High-output 2.0L turbo with GM-estimated 250 hp (186 kW) is available and is mated with a new eight-speed automatic transmission. The new Malibu will be offered in L, LS, LT and Premier trims, as well as the Hybrid model. The Premier trim, Chevrolet’s new uplevel designation, debuts in the 2016 Malibu. Additional model and trim details will be announced closer to the start of production. The 2016 Malibu introduces new strong hybrid technology that leverages components and knowledge directly from the plug-in Chevrolet Volt. The Malibu Hybrid offers a GM-estimated 48 mpg city, 45 mpg highway and 47 mpg combined – while maintaining the styling, comfort, driving dynamics and connectivity as gas-only models. An all-new, direct-injection 1.8L four-cylinder engine mated to a two-motor drive unit, slightly modified from the 2016 Chevrolet Volt drive unit, powers the Malibu Hybrid. The drive unit provides additional power to assist the engine during acceleration, for 182 horsepower (136 kW) of total system power. The engine also features Chevrolet’s first application of Exhaust Gas Heat Recovery, or EGHR, technology, which uses exhaust heat to warm the engine and cabin. EGHR improves engine warm up and ensures consistent fuel economy performance in cold weather. Additional fuel economy benefits come from Exhaust Gas Recirculation, or EGR. An 80-cell, 1.5 kWh lithium-ion battery pack provides electric power to the hybrid system. It can power the Malibu Hybrid up to 55 miles per hour (88 km/h) on electricity alone. The gasoline-powered engine automatically comes on at higher speeds and high loads to provide additional power. In addition to the drive unit, the Malibu Hybrid also shares the 2016 Volt’s blended regenerative braking system, which provides maximum kinetic energy recovery during braking to be stored into the battery system to help maintain charge, and drive unit power electronics. An all-new, Ecotec 1.5L turbo is the standard engine in the 2016 Chevrolet Malibu, offering a GM-estimated 37 mpg on the highway. It is part of a new global family of small-displacement gas engines designed with greater power density to deliver confident performance with excellent efficiency. The new 1.5L turbo employs the stop/start technology introduced on the 2014 Malibu, which enhances efficiency in stop-and-go driving, contributing to a GM-estimated 27 mpg in city driving – an 8-percent increase over the current model. On the highway, 1.5L-equipped models also feature active grille shutters that reduce aerodynamic drag to optimize efficiency. The Malibu’s more-efficient standard engine delivers a GM-estimated 160 horsepower (119 kW) and 184 lb-ft of torque (250 Nm). The torque is comparable to the current model’s standard 2.5L naturally aspirated engine in a vehicle package that’s nearly 300 pounds lighter. A higher-output 2.0L turbocharged engine is available, offering a GM-estimated 250 horsepower (186 kW) and 258 lb-ft of torque (350 Nm), for a higher degree of performance – but not at the expense of good efficiency. Malibu 2.0T models are GM-estimated at 22 mpg in the city and 32 on the highway. An all-new, GM-developed eight-speed automatic transmission – the first eight-speed automatic in a GM front-wheel-drive vehicle – contributes to the 2.0T’s balance of performance and efficiency. The 1.5L turbo engine is matched with a six-speed automatic. Teen Driver, a standard feature on most trim levels of the next-generation Malibu, supports safe driving habits by muting the audio or any device paired with the vehicle when front-seat occupants aren’t wearing their safety belts. Teen Driver also provides audible and visual warnings when the vehicle is traveling over predetermined speeds. To use Teen Driver, a parent enables the feature with a PIN in the Settings menu of the Malibu’s MyLink system, which allows them to register their teen’s key fob. The system’s settings are turned on only to registered key fobs. Chevrolet is the first in the industry with a built-in system that lets parents view on a display how their teenager drove the vehicle. Maximum speed reached, distance driven and number of times active safety features were engaged are among the parameters that can be confirmed. Teen Driver complements a roster of standard and available safety features, including a rear-view camera system standard on LS, LT, Hybrid and Premier models. Ten air bags, including front-seat knee air bags, head-curtain side-impact air bags and seat-mounted side air bags, are also standard. Rear-view camera system is standard on LS, LT, Hybrid and Premier models. With a wheelbase stretching 3.6 inches (91 mm) longer than the current Malibu, along with a 2.3-inch (58 mm) longer overall length and the same overall width, the 2016 Malibu strikes a sleeker-looking proportion. The added wheelbase helps provide better in-cabin comfort and functionality. 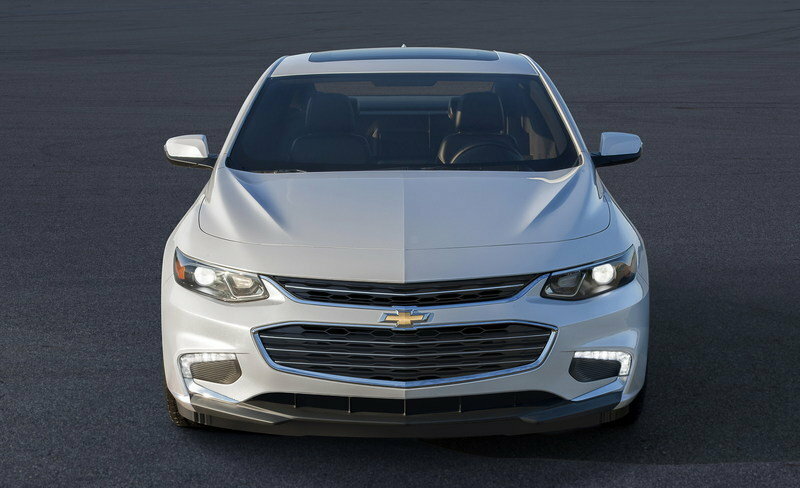 With styling influenced by the 2014 Impala, the all-new Malibu advances Chevrolet’s global design language with features such as slim, sweeping headlamps and a progressive take on the brand’s characteristic dual-port grille. Three body-side creases also add drama to the design and help distinguish the Malibu as a contemporary Chevy. The hood and the cowl – the area where the windshield meets the hood – are lower than the current model and contribute to the Malibu’s greater aerodynamic performance, as do active grille shutters on LS and LT models. Premium design cues are incorporated on all models, with contemporary lighting technology featured across the lineup, including light-emitting diode (LED) daytime running lamps on LT and Premier models. The Malibu Premier also receives LED taillamps. Beneath the new Malibu’s athletic-looking skin is a stronger, lighter body structure that contributes to its efficiency and driving dynamics. Greater use of high-strength steels enabled engineers to design the body structure with thinner components in some areas, delivering comparable crash performance with lower weight. 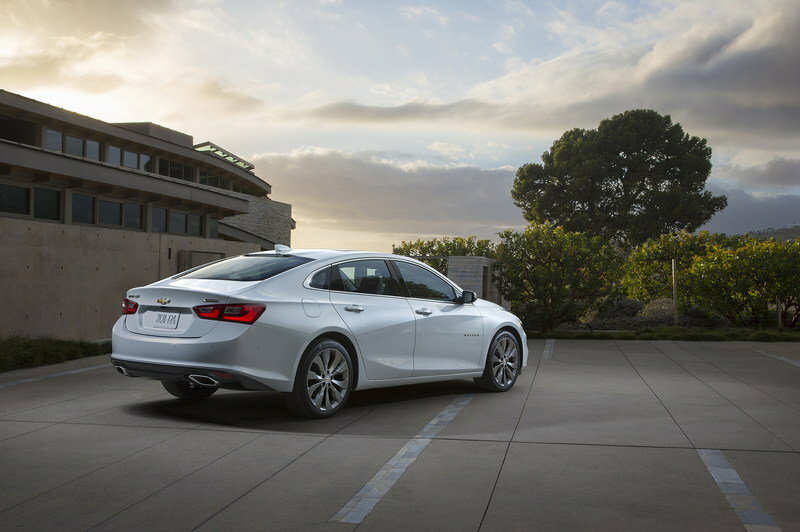 The all-new body structure accounts for more than one-third of the Malibu’s nearly 300-pound weight reduction. 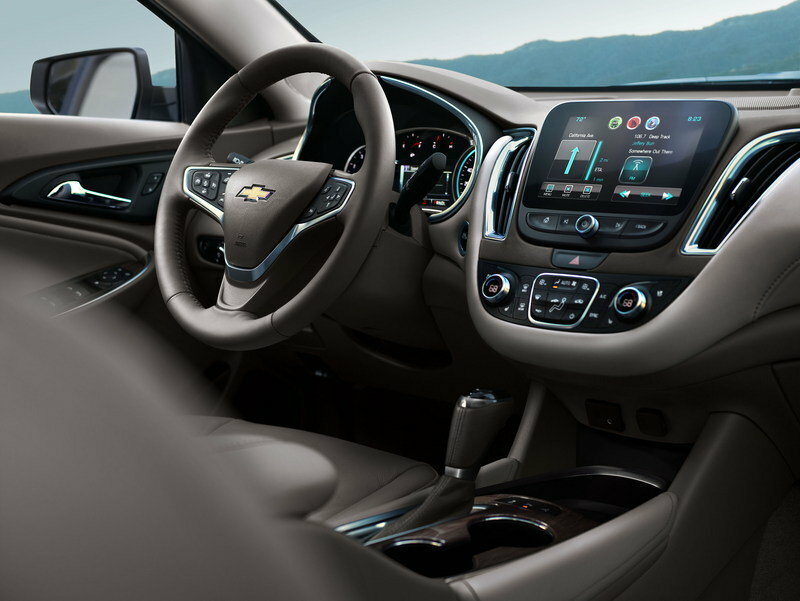 The longer wheelbase allows a more open execution of Chevrolet’s signature dual-cockpit interior. Rear legroom improves by 1.3 inches (33 mm). Dual rear-seat USB ports and a 110-volt power outlet is optional on LT and standard on Premier trim. Ventilated seats – a first for Malibu – are standard on Premier. The 2016 Malibu will be built from globally sourced parts at GM’s Fairfax Assembly Plant, in Kansas City, Kansas. The plant received a $600 million investment in paint shop and tooling upgrades in 2013.